Hi fiends! 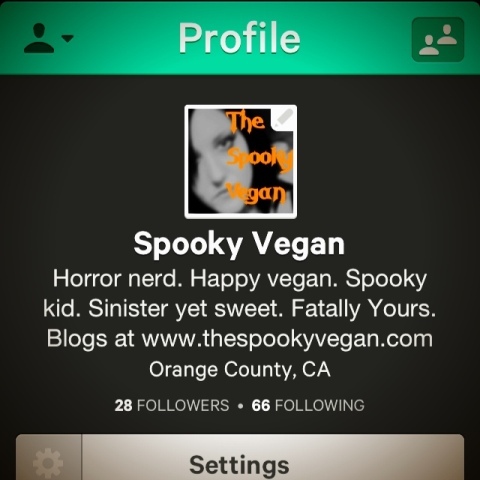 I'm now on Vine, the new video app where you share snippets of your life in 6 seconds or less. I love this app as I find it fascinating to be able to view little bits and pieces of other people's lives in other places. Are you on it? If so, let me know so I can follow you! 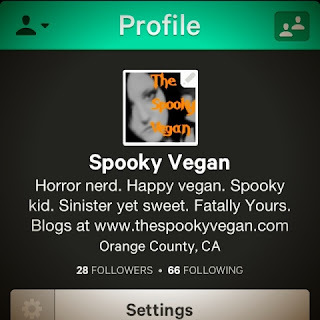 If you'd like to find me on there, just search for Spooky Vegan. I think the app is only available on the iPhone at this time, but you can also check out my videos on Twitter (though I don't post all of them on there) if you can't get the app.